The Dojo is committed to helping students train and learn the complexities / joy of aikido training. Since the dojo’s founding in 2010; Kemper Sensei has seen a lot of growth in our community as experienced aikidoka, as well as beginners previously unfamiliar with Aikido have come, joined us, and become part of our growing family We love it when new friends find us online or just stop by Suite 100 to see what we’re all about; but we really want 2015 to be the year to encourage more students to join us on the mat and learn about aikido. As such, the Aikido & Healing Arts Center of Roseville is delighted to offer the following promotion to new adult students who are interested in taking aikido classes at our spacious dojo. Mirroring our successful Kids’ Buy One Month, Get Another Month for Free, plus a Free Gi promotion http://rosevilleaikidocenter.com/main/2014/02/03/special-offer-new-kids-classes-2-months-for-the-price-of-1-free-gi/ that we started last year — we are doing the same promotion for new adults! Sign up for a full month of aikido at our normal, non-subscription rate of $95 and get another month for free and a free training gi. 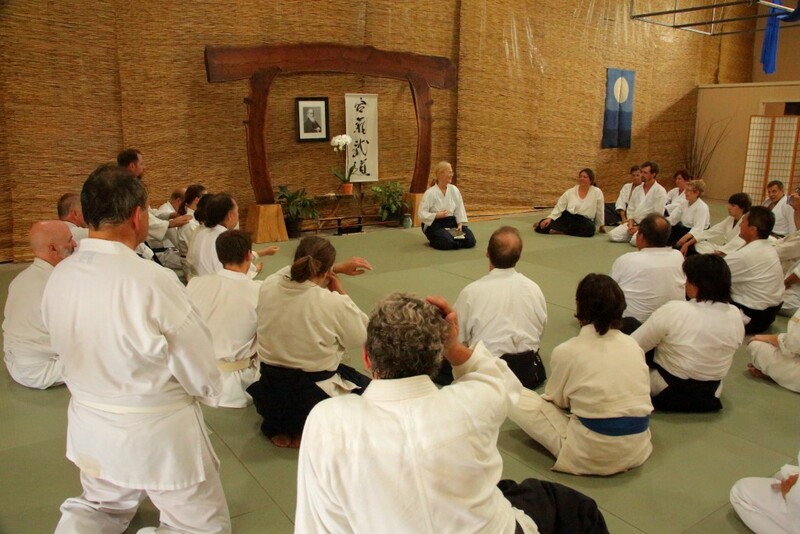 You can attend all of our normally scheduled aikido classes you wish (except when we have a special seminar, we have classes 7 days a week) so this is a tremendous value. Plus, you still can of course, simply stop by and take a free first class or stop by our first Saturday of the month beginner’s workshops to experience some training before joining us full time (we recognize that aikido isn’t for everybody…) so please reach out to us at: community@rosevilleaikidocenter.com or call us at (916) 770-9031 to let us know you want to try us out. Now, more than ever, we hope to see you on the mat.